4. 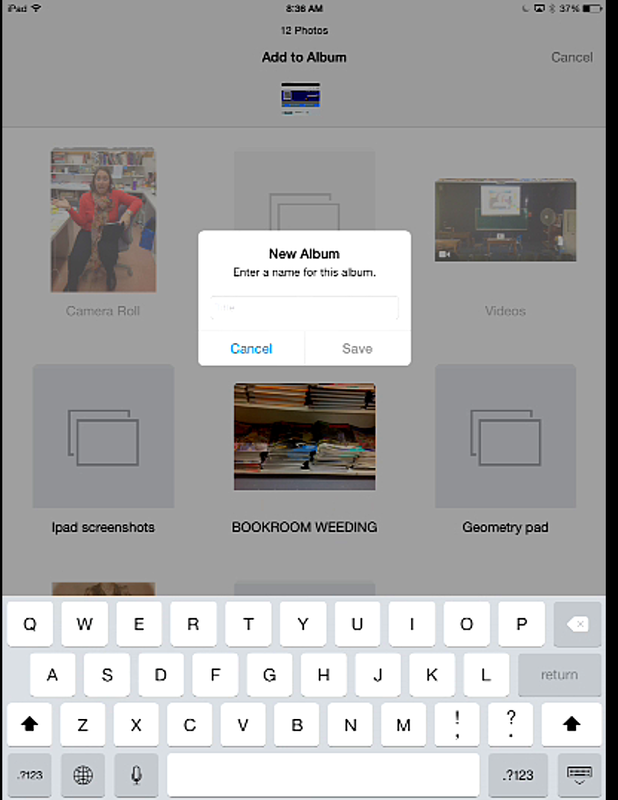 Go to albums, then tap on the album you want to show and select slideshow! It should loop for as long as you want. The closing ceremonies were yesterday and there is only one week left of work before we head off on our summer adventures. 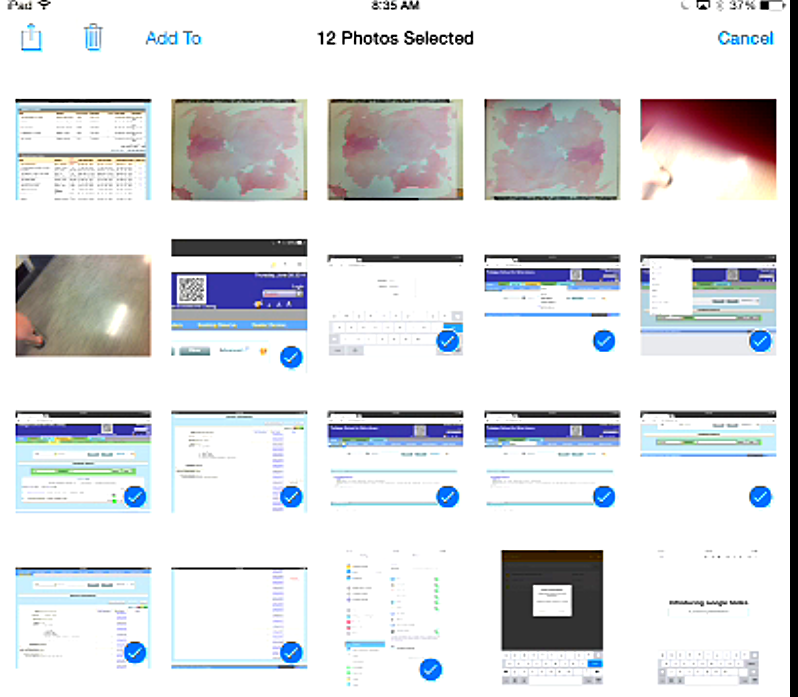 Why notkill two birds with one stone and blend your travels with learning some new iPad tricks? Check out the great ideas on how you can take your vacation photos and make some interesting multimedia presentations! The month of March was a busy one for me in terms of professional development, which is saying something seen asMarch break took up half the month. Now, confession time. The last couple of times I have attended this particular event I have not left it with anything new, besides the benefit I get from talking to my peers (we school librarians are lonely little islands unto ourselves). I am pleased to say that this year was the opposite. It shook me out of my own complacency and made me eat some humble pie (it is so easy to get arrogant about our own knowledge – it is good to have one’s mind blown from time to time.) Ok, so maybe mind blown might be an overstatement, but I definitely left with new ideas, and a lot of things I want to try out. I also appreciate having all the info in one place as I am writing this two weeks after the symposium and, well, let’s just say there’s a hole in the bucket, dear Liza…. 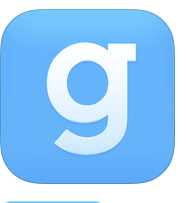 Guidebook is something we might want to try for any large staff meeting or PD events. Wait for it! The morning sessions were very interactive- I really enjoyed seeing how a whole conference could work on a same google doc. It was a good reminder that the simplest uses of the iPad- using a google doc- is also one of the most effective. I wonder how many teachers use this for collective note-taking? The last couple of hours were by far the most interesting. Here are a couple of things that struck me. They had an interesting model- each month the librarians would choose three books. The students interested in the club would vote on the one they wanted to read most. 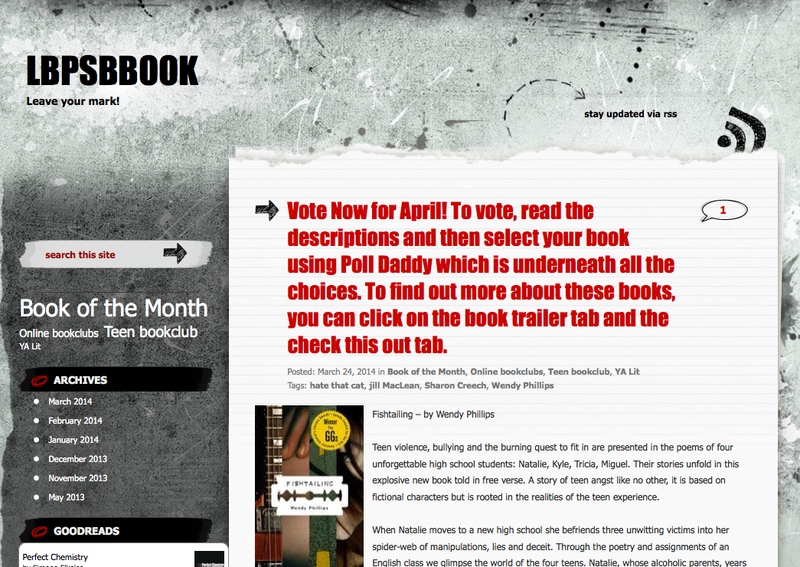 The winner would be the book discussed in next month’s meeting.They used the built-in poll widget available through wordpress. 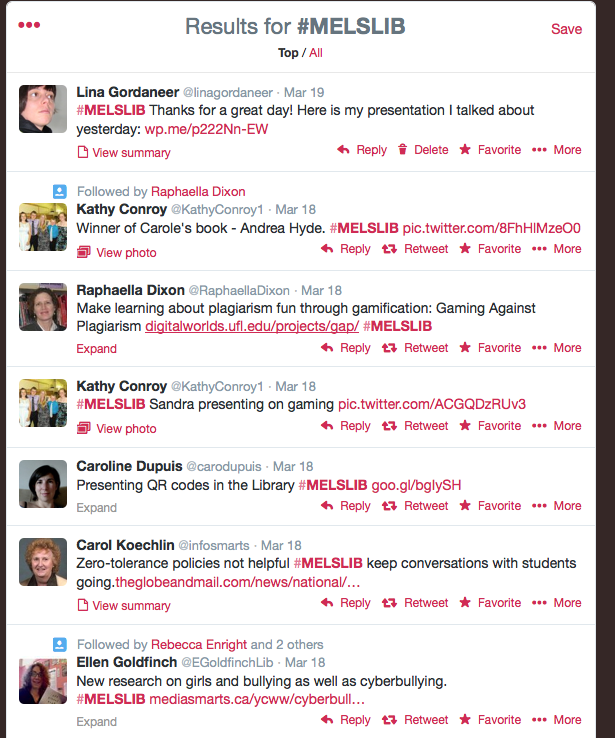 Then the presentation that really set my mind a buzz- Gaming Strategies to Improve the Library Experience by Sandra Bebbington. Gaming strategies include using badges when students reach a certain level, giving points for achievements and leaderboards (though the last one wouldn’t work so well in a classroom setting…) Sandra added so many different links that provides interesting game strategy that my head is still spinning. Though most have a library focus, some have some cross-curricular interest. The one that was especially interesting to me was the GAP project (Gaming against Plagiarism) from the University of Florida. Alas, they are in Flash so they don’t work on the iPad. 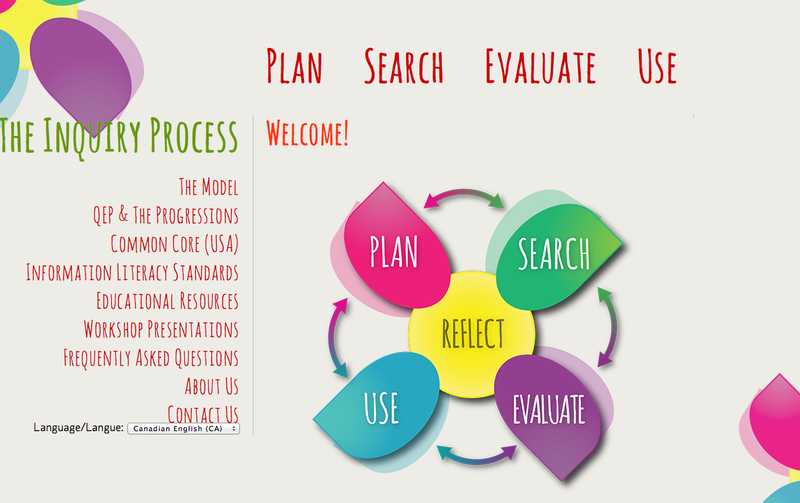 Seriously, check out her presentation- it is chock full of good stuff and ideas! Apparently there is a game that overlays on your library catalogue- students get points every time they check out a different aspect of the OPAC. I am going to try and see if I can get it going- it would be a great way for the students to learn how to search for a book! All in all, a very worthwhile day. But Lisa Johnson points out the “added notes” section available which is the perfect solution-when you view the deck on the Haiku Deck site, you see the visual and beside it the notes that accompany the slide. Also- she mentions how she flips her PD. 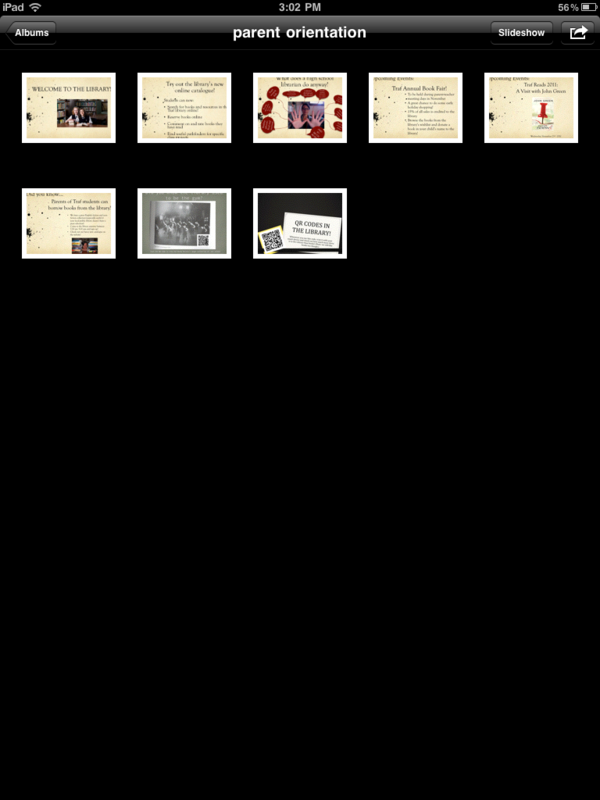 Which , really, is what Ms. Science teacher did with her presentation on Explain Everything and Notability a couple of weeks ago and which I think we should do more of. I mean, isn’t it time we put our money where our mouth is? Or at least the flipped in our own teacher’s classroom? Check out her Haiku decks and her tips for a great presentation- extremely useful! Inspiring case studies, tips, and presentation ideas to help you set your story free, from the Haiku Deck team and our creative community. iPad Show and Tell #2: Mr. P’s Pecha Kucha! 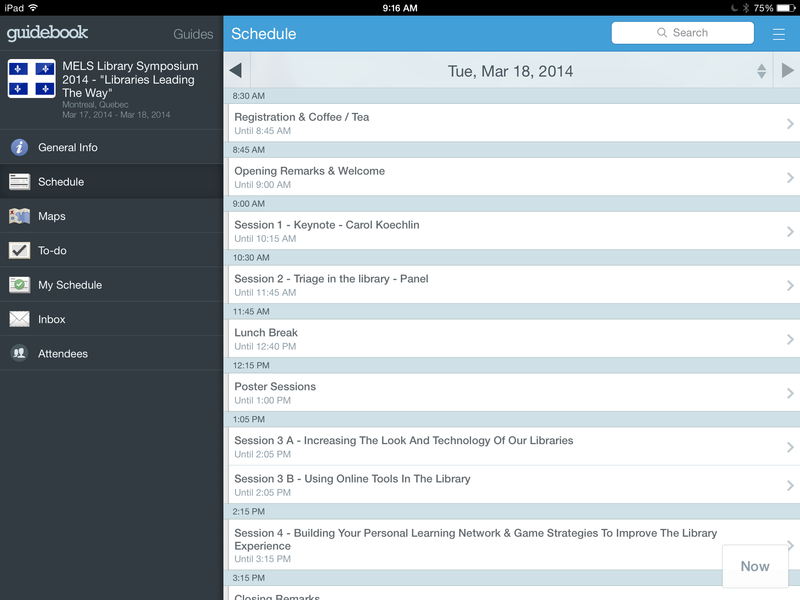 I used my ipad to create a slideshow of different services, events, etc. the library offers for new parent orientation and for open house. Though I am not sure how many people actually looked at it, especially at new parent orientation – I’m not exactly the main act, or even the off broadway act at this event. But still. It was there and it looked cool. 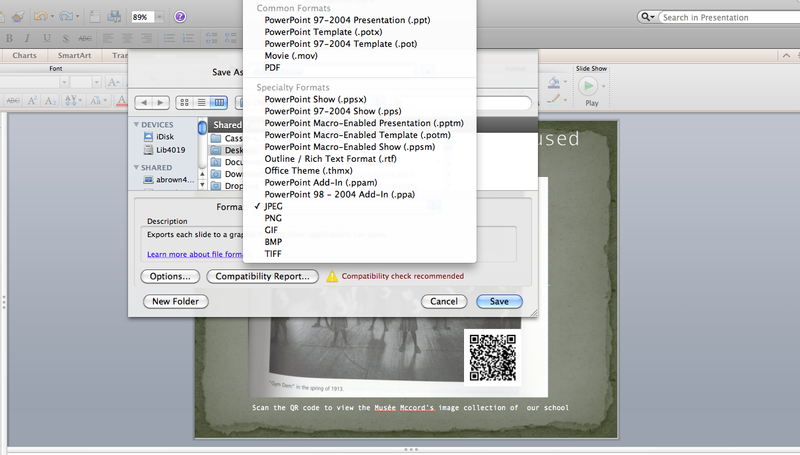 I began by creating slides on my desktop. 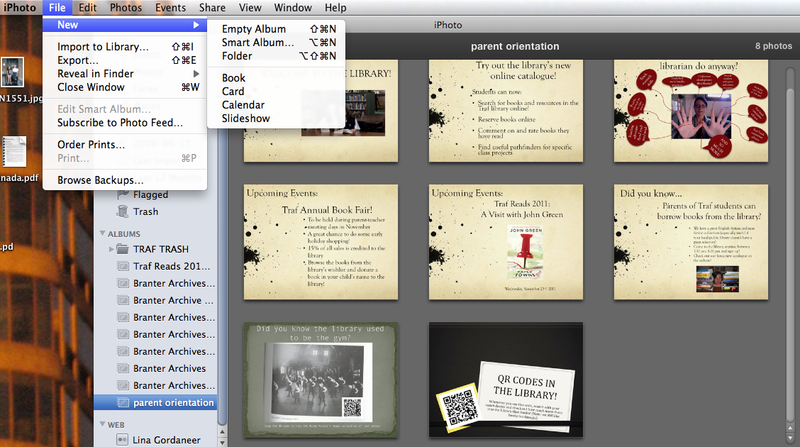 I used powerpoint for my slides, as it offers different themes and you can add different media. 2. Save them as jpegs. 5. 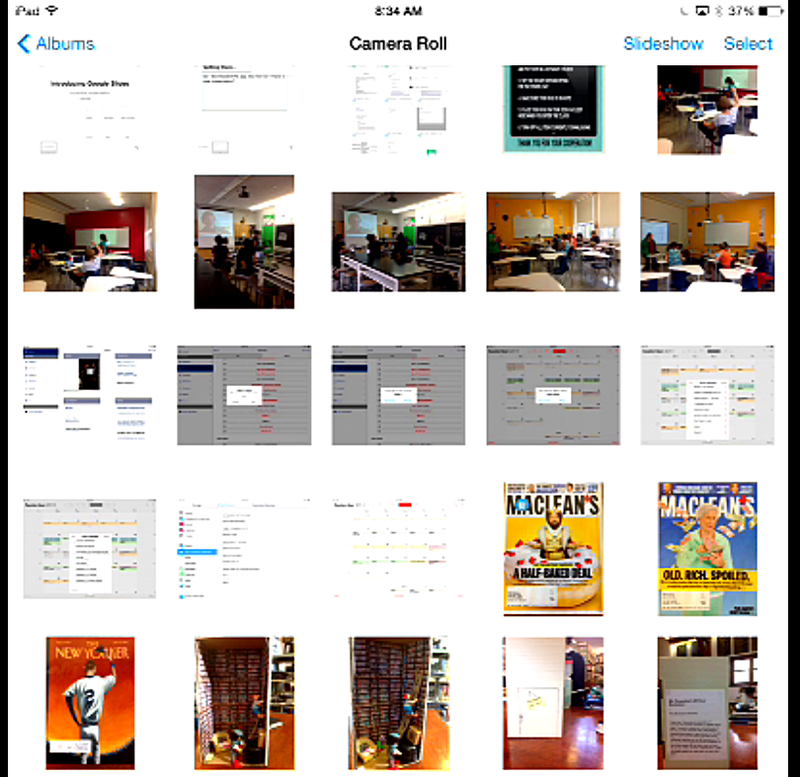 Add your slides to your album. 6. 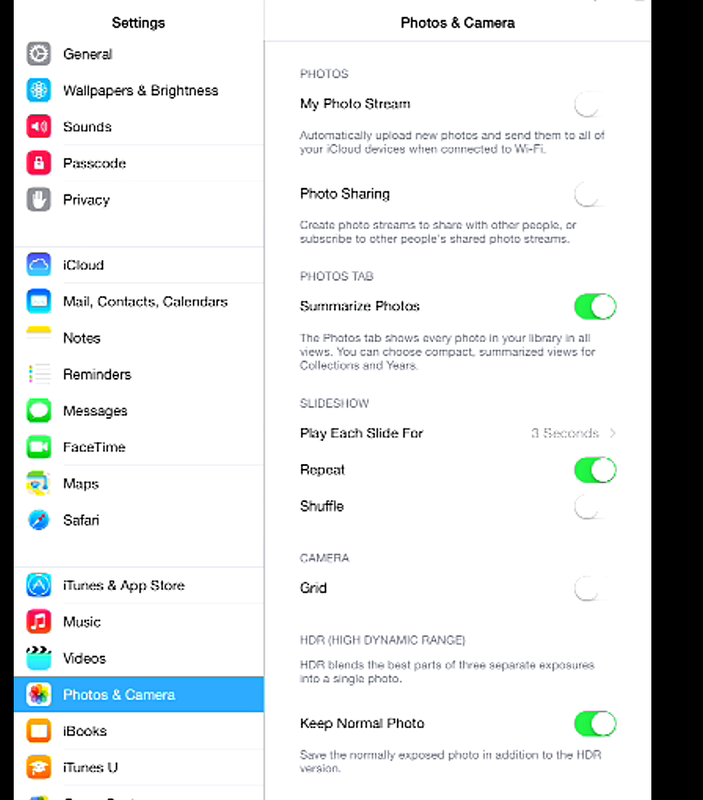 Sync your ipad, but be careful to select only the album- if not you might sync all the photos on your computer (trust me, unless you have hours to wait for it to download, you don’t want that). 7. 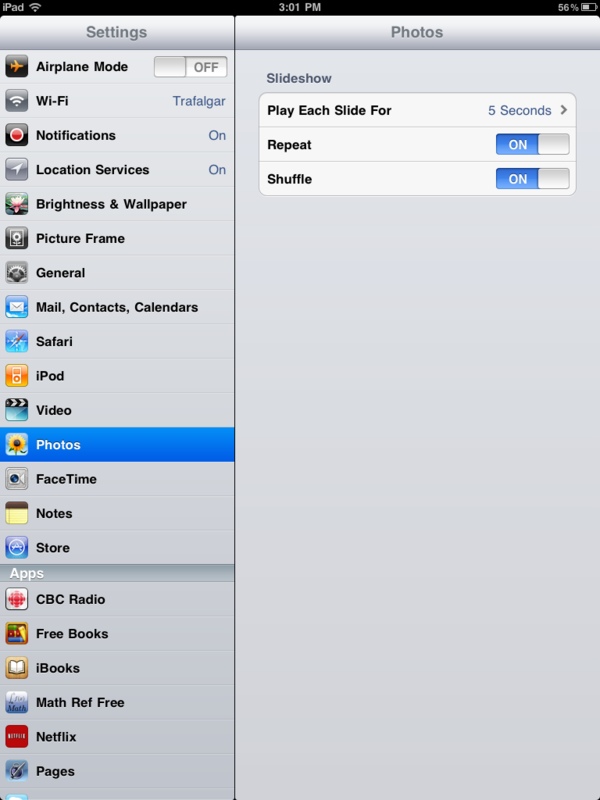 After ejecting your ipad from your computer, click on the photos icon on your ipad. 9. 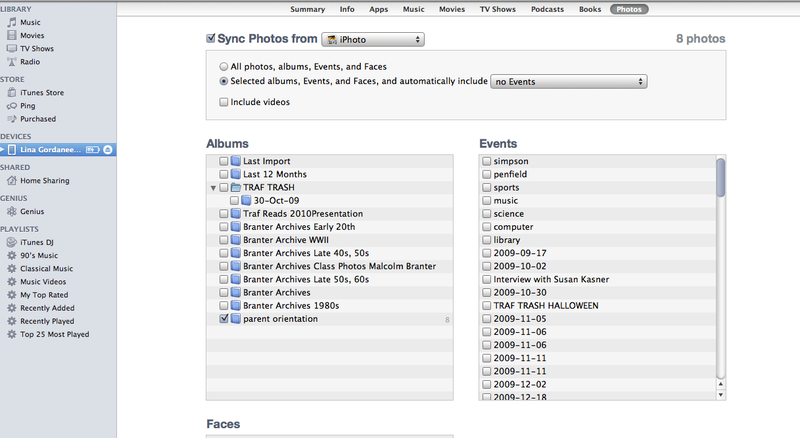 Select the slideshow option in the top left hand corner.